After lots of hard work by the officers of Calvert Advanced Life Support. We are proud to announce that CALS has been awarded a $25,000 Public Safety Grant by Dominion Energy. The funds are to be used for the 50% purchase of our new zodiac coming to CALS in the Summer of 2019. This new piece of apparatus will allow CALS to bring ALS coverage to the many waterways of Calvert County during the summer months and special events. CALS is grateful to Dominion Energy for the continued support of organization its goals and our community. 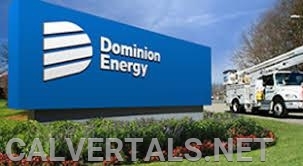 Thank you Dominion Energy.